Environmental disasters are common in the history of mankind, but not many can compare to the onw which began in 1958 in China. 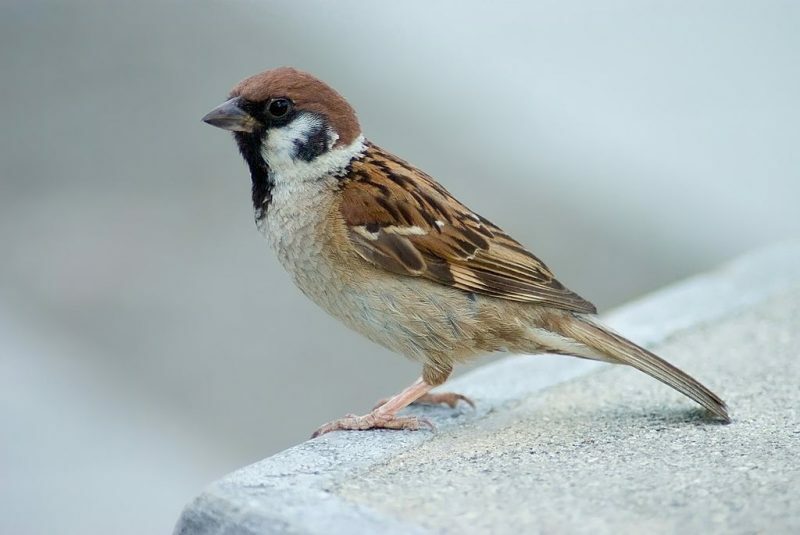 Mao Zedong, the leader of the People’s Republic of China, decreed that all the sparrows in the country were to be killed. He decided that China could do without pests like sparrows. Mao thought that sparrows ate too much grain and it seemed rational to him for all sparrows to be killed. 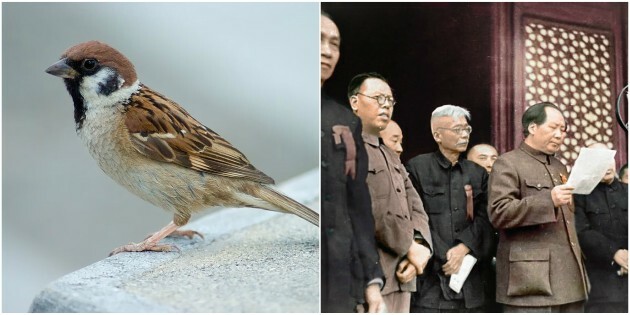 According to Mao Zedong, sparrows were getting in the way of the economic development of the People’s Republic of China. During the next three years, 45 million people died in a famine caused by economic mismanagement, environmental disaster, and state terror. 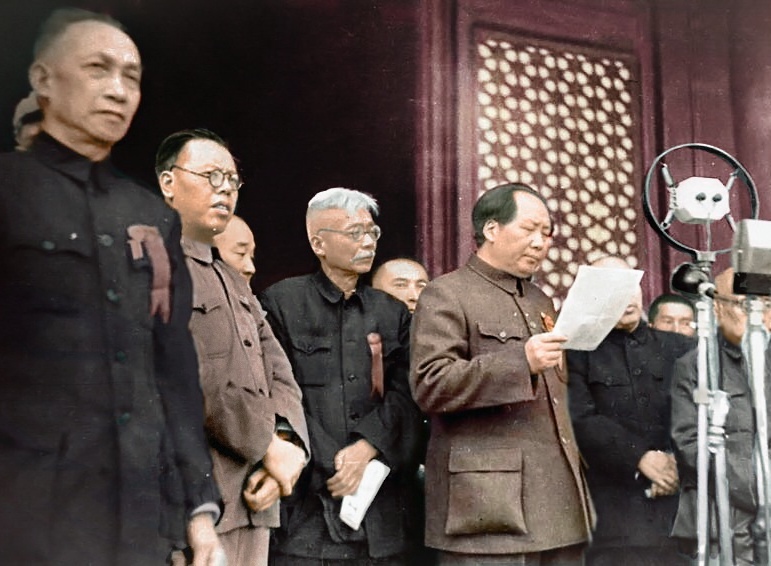 Mao Zedong undertook several massive campaigns in an attempt to modernize and improve life in China. The Four Pests Campaign was one of these drives, part of the Great Leap Forward between 1958 and 1962. Killing all the sparrows was part of this campaign. People were mobilized to eradicate the birds. They used beating drums to scare the birds from landing, forcing them to fly until they died of exhaustion. People tore down sparrow nests and shot sparrows down from the sky. The result of the campaign was to push the birds close to extinction in China. There is no information on how many sparrows there were in China in 1958. But if there was one for each person, there would have been more than 600 million. Hundreds of millions were killed. This lead to a problem the next year. It was noticed that insect infestation of crop fields had soared. Sparrows ate pests such as locusts, and after the campaign, the locusts lost their major predator. This meant that killing the sparrows was counter-productive. The sparrows, it seemed, didn’t only eat grain seeds. They also ate insects. Locust populations boomed and they ate everything in their path. Grain production in most rural areas collapsed and a massive famine began. People ran out of things to eat and millions starved. The official number of fatalities from the Chinese government was 15 million. However, it’s estimated by some scholars that the fatalities were as high as 45 or even 78 million. 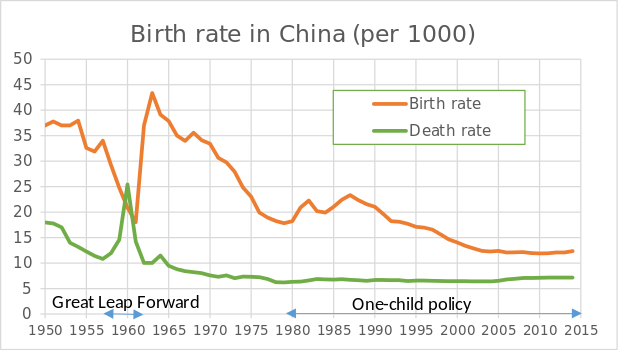 The Great Famine remains a taboo topic in China more than 50 years later. People started to eat other people, parents ate their kids. Kids ate their own parents. Thousands of people were murdered for food. In his book Tombstone, Chinese journalist Yang Jisheng estimated the deaths at over 36 million people. His book was quickly banned in China. Mao ordered the end of the campaign against sparrows, replacing them with bed bugs in the ongoing campaign against the Four Pests. The aim of the campaign was to increase agricultural output, but during the Great Leap Forward, rice yields substantially decreased. Maybe Mao Zedong wanted to conquer nature. However, his policies led to a famine in which millions of lives were lost.